Thank you so much! 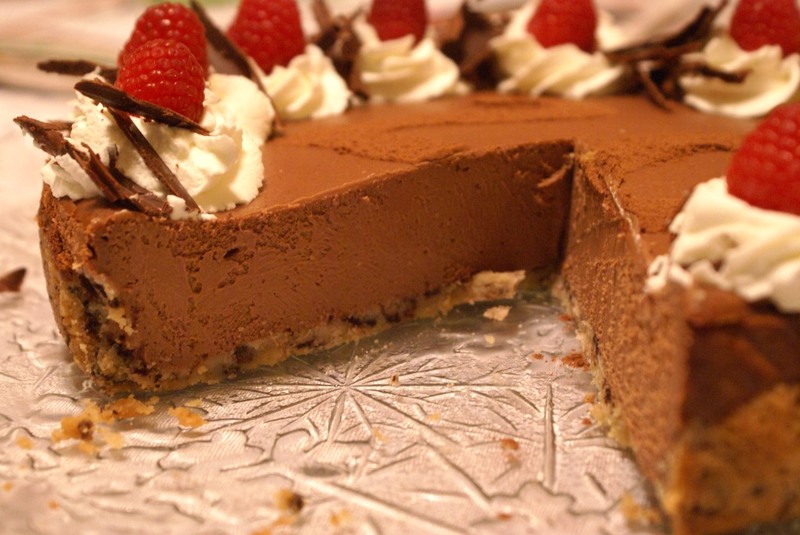 This was probably one of the best chocolate cheesecakes I made, very rich and smooth. It looks perfect, great post! 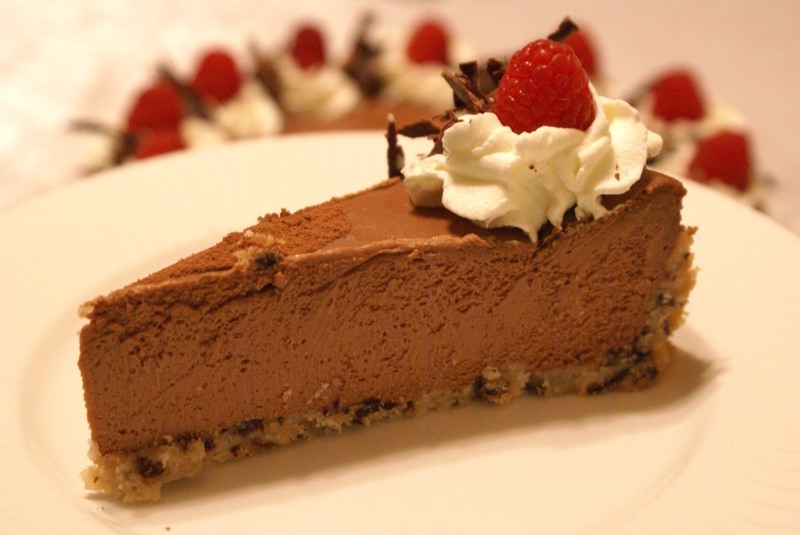 What a gorgeous cheesecake! My mouth is watering. I love the cocoa stencil on top – very elegant. The title alone was enough to make me drool, Sibella. What a beautiful cheesecake! My daughter, too, insists on a cheesecake — every year for years now — her favorite being a crustless Chocolate Chip Peanut Butter Cheesecake. Has your son learned to bake so he can make your birthday cake?! Thank you Kathleen! My son has been asking for cheesecakes for his birthday last few years too. I don’t think he is a baking kind of guy, but my daughter has started to bake some cookies, so maybe she will bake me a cake one day. 🙂 It’s good to hear from you! This looks like a cheesecake from a very posh bakery. Perfect! 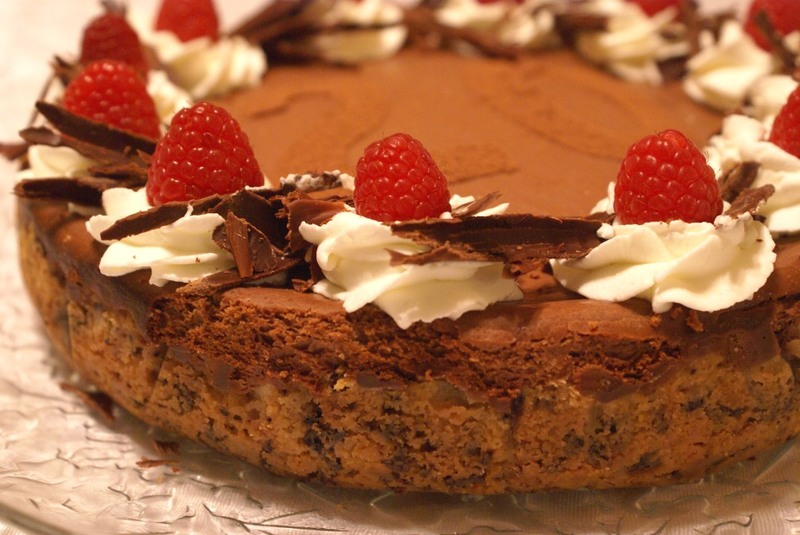 Chocolate and raspberries are such a beautiful union. Happy belated birthday to your son. Silky and creamy! Happy Belated bday to your son. 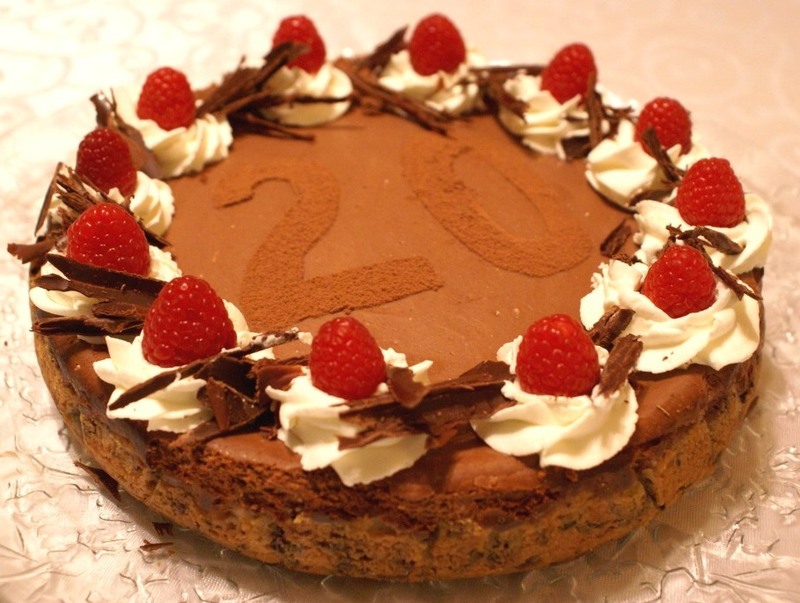 That can’t be a 20 on his cake already? They grow up so fast and I am sure he loves his mom’s wonderful baking. Hi! I just found your blog today while looking for some Bosnian recipes to make for my husband. Could you please post a recipe for hurmasice? Hvala!! !